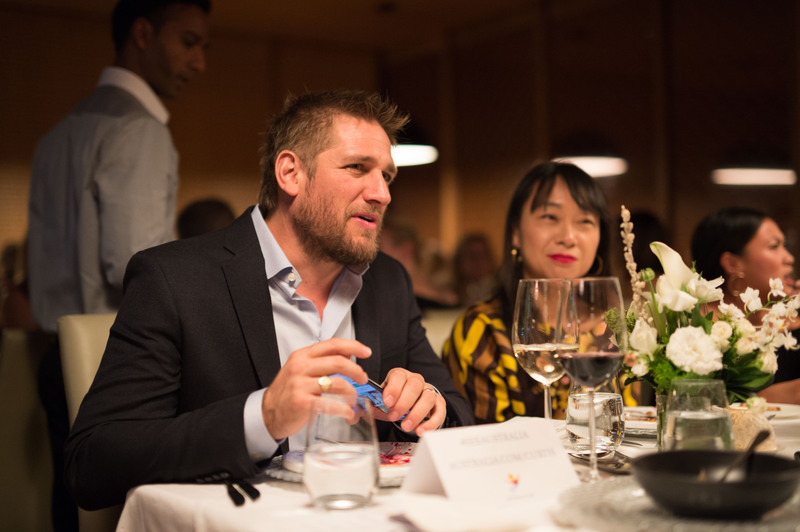 I had a date with Curtis Stone last month. Alright…it was actually a Tourism Australia dinner, and Curtis is an ambassador with them. You may know Curtis from his cooking shows. 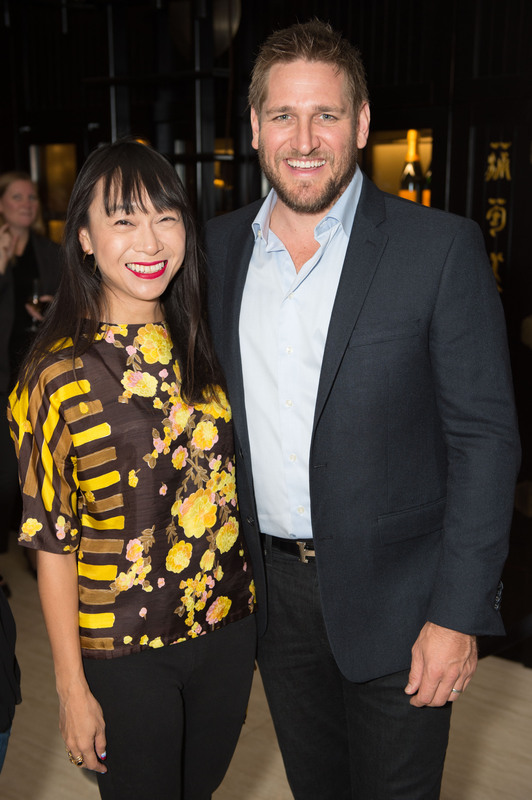 To be totally honest, I know much less about Curtis Stone than I do other chefs (I’ve seen a few episodes of his shows in the past and I remember he was on Celebrity Apprentice, but I don’t think I’ve ever tried any of his recipes and I don’t own any of his cookbooks). What I do know, though, is that he’s married to Lindsay Price, who was on Beverly Hills, 90210, which is basically one of my fave shows ever. So when I was introduced to him before dinner, I told him that his wife was on my favourite show (yes, I was that fangirl), and he said, “Let me guess, Lipstick Jungle.” Huh. Nope, I told him 90210 (which he admitted he’d never seen when he first met Lindsay; he’s since seen the show — I should hope so!). I ended up getting to sit beside Curtis through two whole courses, and what a cool, gracious guy. We talked about fitness, and I asked if he surfs much now living in L.A., and he said he doesn’t have much time to, but gets in the water about four or five times a year. I also asked him about what his guilty food pleasure is, and he loves tacos. And being in L.A., he said there’s tons of great taco trucks (and he couldn’t name one favourite as he loves them all). He was there, of course, to chat about Australia, which was long been high on my travel wish list. Here’s a to-do list of what are essentials when you visit Australia based on what Curtis chatted with us all about that night. Alright, Curtis, I was already keen to visit, but now you’ve sold me even more so on Australia. As for what we ate at Bosk that night, well, Curtis admitted to me that he didn’t have that much to do with the menu, other than discussing some key ingredients. He’d said he’d have loved to cook for us, though. 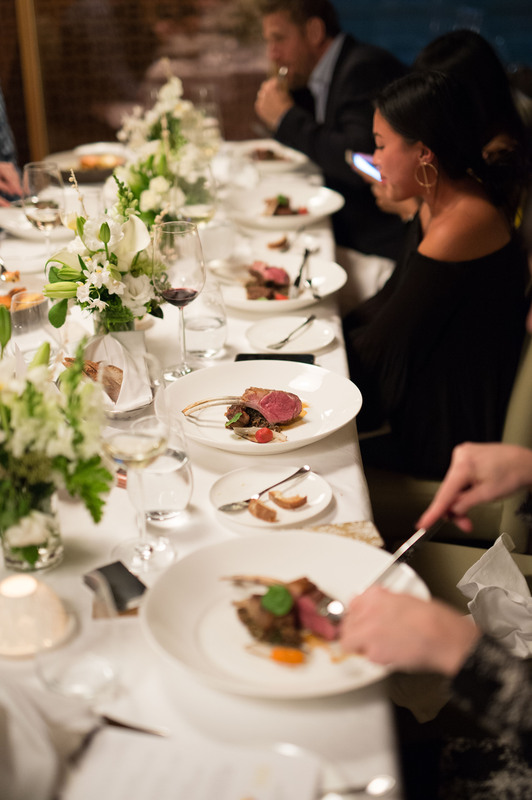 The dinner was fantastic and paired with Australian wines. I’ve shown all of the courses here in the post in order. 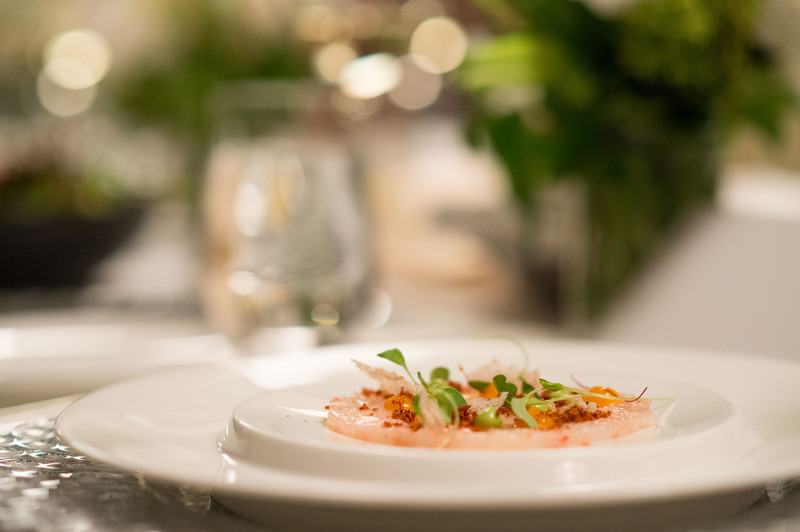 We started with prawn tartare with shell powder, chili thread, mango and avocado. 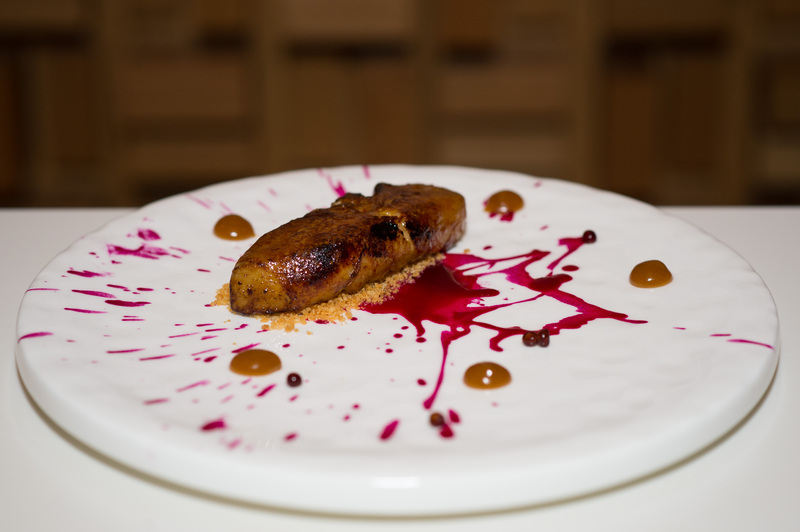 Next, we had seared foie gras with Vegemite-miso, beet gel and A.N.Z.A.C. crumble. When we ate this course, Curtis pointed out to me that the plating was very Wylie Dufresne and he googled a photo on his phone to show me. 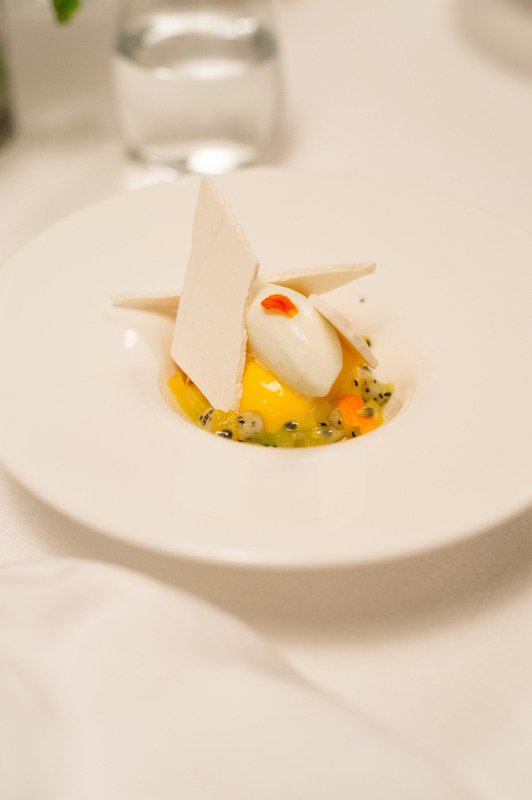 For the main, we enjoyed spiced lamb with quinoa tabbouleh, and finally, for dessert, mango and passionfruit pavlova. I adored the rich foie gras and the very refreshing pavlova (and I’m usually not that into dessert, since it’s often chocolate cake of some sort). OK, now, back to planning on getting myself to Australia…Have you been? What did you love most about your travels there?